The Disneyana boards talk about this stuff constantly. They are pretty much "Not In My Theme Park" camp. They pretty much hating anything Star Wars, Marvel, Muppets, ride replacement or anything new in general. It looks like Disney Hollywood Studios in WDW will get a large Star Wars land where their recently closed Tram Tour was. 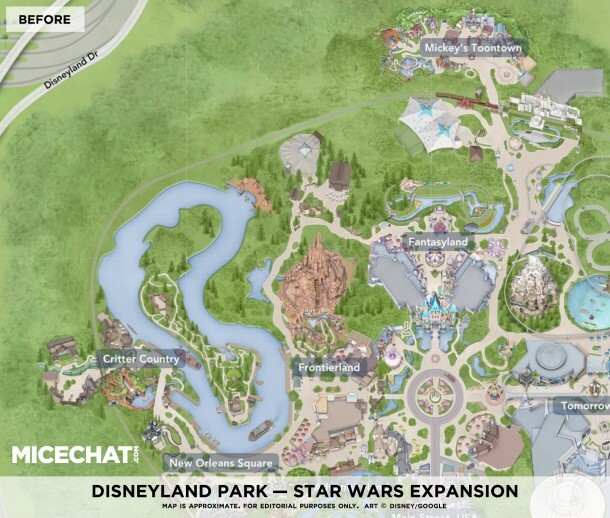 The current rumor is Disneyland will be loosing it's Toon Town and Big Thunder Ranch area to Star Wars. My wife and I are huge Disney fans and try to make a trip to DW every 2-3 years. She has probably gone 25 times in her life as opposed to my 5 trips, and now we are bringing our daughter into the fold. Anyway, I mentioned this article to her the other day and she didn't like the idea of an entire SW theme park. As much as I'm a fan of SW, I am in the same boat. I'd prefer they have a Star Wars land over at Hollywood and go that direction. I know there is plenty of room at DW for an entirely new park, but I think the land within the park would be really cool. It would also play in line with the theme at MK of having a themed land. However, what doesn't seem to fit though is the actual "land" idea because Hollywood isn't set up like that. Either way, I look forward to what they have coming. I have no doubt it will be awesome when they are done. 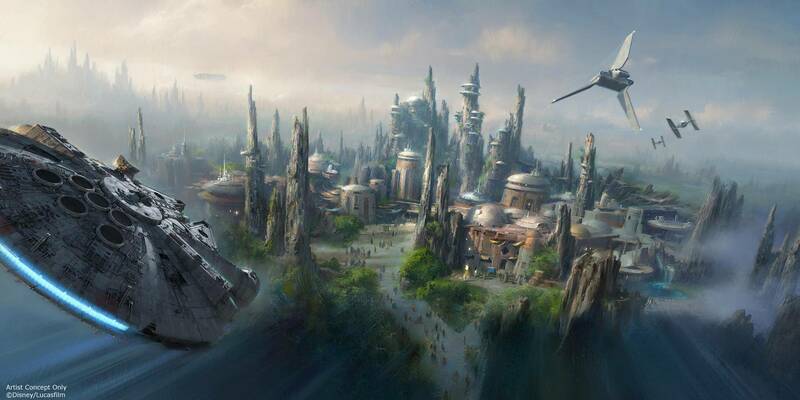 A Star Wars theme SECTION of a theme park would be pretty awesome. And if anything, I think Disney would probably use something like 'The Wizarding World of Harry Potter' at Universal Studios as a template. Make a significant Star Wars themed section in Disney/MGM Studios along the lines of that Harry Potter attraction at Universal. I think the potential is definitely there in terms of individual attractions, rides and eateries. I mean, who here would want to get a drink at a Mos Eisley Cantina restaurant? ...and that's not including what could be coming from the new movies which could feature prominently here. Oh, and the GIFT SHOPS. And they already have a Jedi Academy, so they could expand on that as well. Well according to Bob Iger, they want to do it big and right. That is why Hollywood Studios is getting a make over along the lines that DCA got a couple of years ago. I just want to ride a damn bantha. You may get your wish soon. The Disney Parks blog has a 360 degree look around the area cleared for Star Wars Land. It looks like the Empire is helping build. 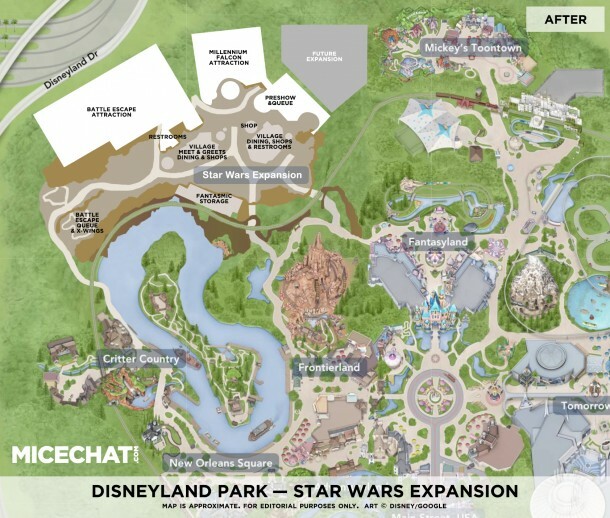 Just in case you have no idea about where Star Wars Land is going at Disneyland here is a map. 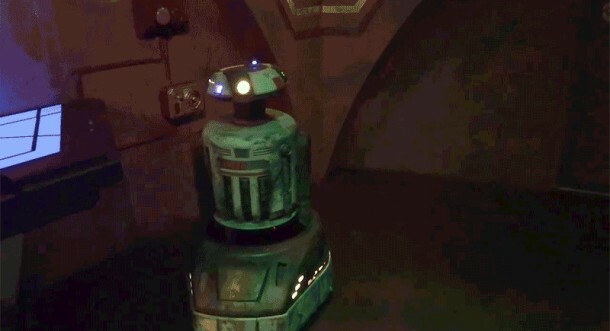 Imagineers are testing one of the droids that will roam around Star Wars land. This is J4K3. (Jake) He is kind of a roomba that you can block and he will turn and go in another direction. He is pretty tall at about almost 3ft tall. 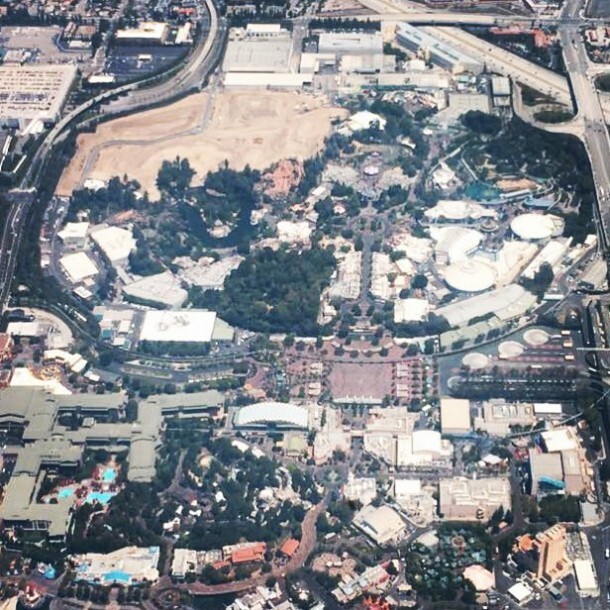 Latest air picture of Disneyland. 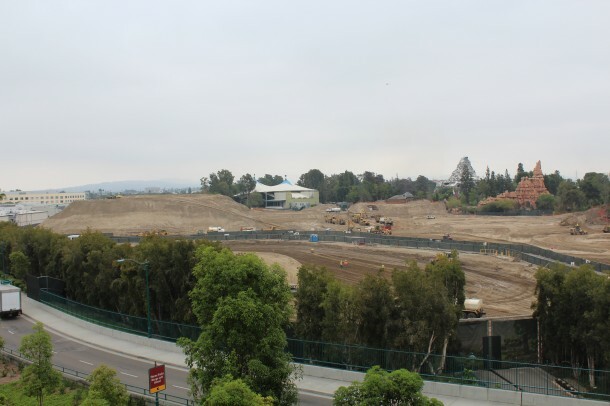 Notice the large dirt area where Star Wars land is going. so what you're saying SWland is going to look like Jakku/Tatooine? how boring.